Moscow authorities battled to clear streets and told children they could skip school as the city was blanketed by its heaviest snowfall in 100 years. 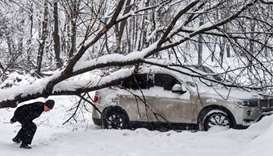 At least one person died and several were injured after Moscow experienced its heaviest day of snowfall since records began, the city's mayor and agencies said on Sunday. 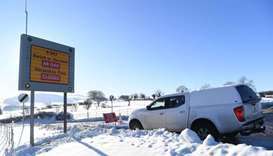 High winds and heavy snow in Europe on Monday stranded thousands of travellers, kept schoolchildren at home and even played havoc with international diplomacy. 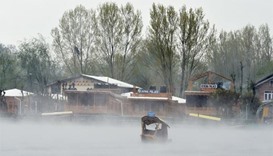 Six people were killed and two were reported missing in India's Kashmir region on Friday, after heavy rain and snowfall swept the region. 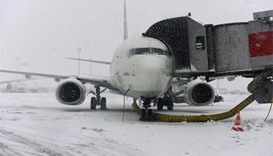 Turkish Airlines has halted all flights from Istanbul's Ataturk airport, its main hub, until 6 pm on Monday as heavy snow fall hit the city for a third full day, its chief executive said on Twitter. 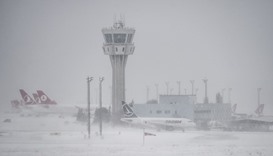 Heavy snow blanketed Istanbul for a second day on Sunday, resulting in the cancellation of hundreds of flights and more disruption for thousands of travellers. 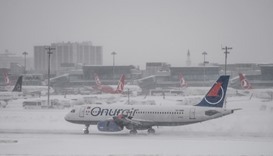 A heavy snowstorm paralysed life in Istanbul on Saturday, with hundreds of flights cancelled and the Bosphorus closed to shipping traffic. 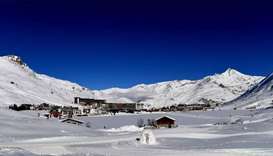 Turkey's biggest city Istanbul was hit by rolling power cuts for a second day on Friday, caused by what the energy ministry said were faults on transmission lines due to heavy snowfall and a storm in the region.